Bryan sits down at the Capone For Your Home Team offices in Center City Philadelphia to talk about appraisals and how they fit into the transactional process. Bryan sits down at the Capone For Your Home Team's offices in Center City Philadelphia to talk about some of the essential differences between condos and single family homes during the sales process. 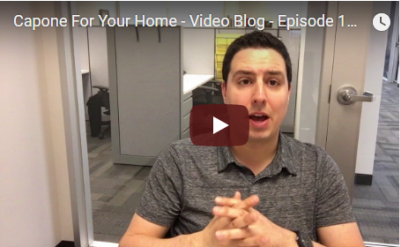 Video Blog – Episode 14: Condos VS Single Family Homes! Video Blog – Episode 12: Open Houses!